In the sheriff’s race, Parkinson received 61.52 percent of the vote. Parkinson’s challenger Greg Clayton garnered just 38.41 percent. Meanwhile, Dow won by an even larger margin. Dow claimed 64.70 percent of the vote in the district attorney’s race. 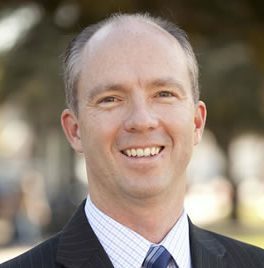 Challenger Mike Cummins received just 35.22 percent. The Holland family contributed $25,000 each to Clayton and Cummins in an effort to oust Parkinson and Dow after both law enforcement officials refused to resign over the jailhouse incident in which Andrew Holland was strapped to a restraint chair for 46 hours before dying. Additionally, the Holland Family released the videotape of the jailhouse death, prompting multiple protests against Parkinson and Dow, as well as international news coverage of the incident. Local progressives, too, rallied behind Clayton and Cummins in an effort to unseat Parkinson and Dow, both of whom are Republicans. Clayton, a retired San Luis Obispo police officer and longtime private investigator, ran for sheriff on a campaign of justice and reform. Clayton and fellow critics of Parkinson pointed not only to Hollands’s death, but to the numerous deaths that have occurred in SLO County Jail in recent year, as evidence of mismanagement of the facility and mistreatment of the mentally ill.
Cummins is a former prosecutor and superior court judge, who served on the bench for more than 10 years. On the campaign trail, Cummins faulted Dow for not investigating the Holland death and vowed he would mount an investigation into the high-profile case if elected. 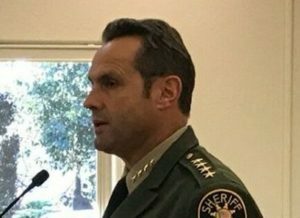 Parkinson’s election victory secures him a third term as SLO County’s sheriff. Dow won a second term as the top prosecutor in the county. Before the ballots were counted, the Holland family promised to keep applying pressure if the incumbents were to win reelection. Even though the sheriff and district attorney races have been decided, some ballots still need to be counted. The results of the elections will not be finalized until later in the month. So around 40% of possible voters actually cast a ballot, and if a candidate won with around 60% of the vote, then is that less than 25% of possible voters. All they talk about is figuring how to allow more people to vote, how about we first make those currently permitted to vote cast a ballot then look at allowing more people to vote. Being elected by less than 25% of the voting public isn’t all that impressive and running around saying you won by a landslide? How do you figure that? Life has gotten so busy and public issues so far removed that who really knows who or what to vote for? It has become a just don’t vote for whatever election, an excuse to not vote. In answer to your question, kayaknut, a win is a win even by just one vote! This State now allows illegals to vote, same day registration and vote, I saw in the cities they had drop off spots where you could drive up and deposit your ballot to volunteers, you can take a ballot in ANY polling place and turn it in and then of course you have the old faithful walk in to your precinct and vote the old fashion way. People die in other Countries for the right to vote and here, people are just to busy to care. But still, the people who do vote are usually on a mission or are the best informed which is usually about 40%, so I guess it is OK! Thank you simpsonpaso. You and your corrupt buddies and your fellow Trumpanzees can wallow with crime! Happy Trails! More lies. More death. More “good ole buddy” crap. No wonder this is a dying town. See you later; you can keep it! …and that’s how the progressive views loss… throwing Legos around the room and stomping …. I think Sweethome needs a “time-out”. All 3 of you need a time out. Less about each other, much less. The people of SLO county have spoken. If you vote, by definition you agree with the outcome of the election. Dan Dow and Ian Parkinson were both elected by large margins. The people of SLO want this type of leadership and they’ll get it! Those of us who are paying attention are horrified by the outcome, but each of us must recognize that the people wanted this outcome and they greatly outnumber those of us who wanted truth, justice, and something better than the “old boys club” that we currently lament. But alas, we are the minority and therefore we must decide to live here and continue working to make things better, or to relocate if we decide otherwise. This county has decided on a robust police force, a DA’s office that uses lying experts, double and triple standards of justice and a cruel indifference to human life at the jail. This is what they’ll get, which is exactly what they want! Things will get much worse of course, but the people have spoken. Feel free to leave buddy. Nobody is asking you to stay. Thanks for the kind invitation. I have never felt more comfortable with the idea of leaving! Folks around here don’t need another tax-payer. You can handle it all. And that’s how the Regressive Right views a different opinion… leave ’cause we want all of this to ourselves… Obvious trolling for approval on a sight that is generally in line with your “views” is pretty weak arse chit ‘aso… Oh, bye-the-way, who the heck needs your permission to do anything? Stay, leave, it’s America, we can do what we please when it comes to that. One other thing… you not asking someone to stay has about as much power or influence as you asking someone to leave, none! I’m glad this election is over and now people can just do their jobs / return to their better lives. Government by the people for the people. The people have spoken and now it’s time to move on. Hey ‘aso… Please tell me where it has been reported that the Holland Family had a restraining order on their son, I can’t seem to find it anywhere other than a post by “Myself” on 06/04/2018 and I’ve done some reading trying to find it anywhere. Anyone! Is there proof that their was a restraining order in place and put there by Andrew’s parents? AmericaTheFree simpsonpaso Both of you stop the personal attacks. The comment section is not available for circular unending adhominem attacks. I guess more cronyism and death is coming to SLO. Oh well, you get what you vote for, right? With that in mind you’ll end up will paying for what you vote for as well, and with these two? Over and over again, and again! Crop circles and con trails and the oceans rising and the Russians… time to saddle up amigo and head for the hills! Typical response from someone stuck in the Twilight Zone of the Regressive Right; demanding others to head for the hills when in fact it’s where this troll trolls! To all the stalwart voters in SLO County who plainly spoke on June 5, 2018, via your votes for District Attorney Dan Dow and Sheriff Ian Parkinson — THANK YOU!